Lightning & Power goes live! There’d been a flash of something not quite right before the sickly scent had burned up inside my nostrils. I opened my eyes to darkness, still blind but aware that I was no longer where I should be. Cotton rumpled under my fingertips as I pushed myself shakily into a sitting position, feet sweeping over the side of what appeared to be a bed. The edges of the room bled into my dark head, a blurred, electric blue pattern somewhat akin to sonar. It fizzled in and out, badly affected by whatever my attacker had administered. I tucked a sliver of pale blonde hair behind my ear. It wasn’t unusual for somebody to kidnap a seer, but the lack of psychic sensory warning was disconcerting. I straightened to my full height, toes wriggling against the cold tile. My clothes were gone. Instead, loose material wafted around my calves, reminiscent of a hospital gown I’d once worn. It was supposed to be a relaxing holiday, a getaway for me and Graeme, but all of that had come to an abrupt halt when he’d gone to get me an ice cream in the park. I’d been sitting on a bench. Goosebumps had skittered up my arms and I’d stupidly brushed them off without thinking, distracted. I’d been working on a way to tell Graeme my news without him kicking up a fuss, but it was a difficult subject to broach where my husband was concerned. He wasn’t the most docile of men and his wolf nature only served to amplify that characteristic, making it an incredibly bad idea to get on the wrong side of him. And my news? He wouldn’t take it very well, no matter how much I sugar coated it. I thought I’d nearly pinned down the best approach, though, when something had flashed in the corner of my mind. A blue sparkle of warning that didn’t materialise into the usual vision as if dampened by an otherworldly force. And then a dirty rag, soaked in something nasty, had crushed over my nose and mouth, forcing me to breathe it in until my struggling stopped and dizziness had left me drowning in darkness, until now. I tried to reach out in my mind, searching for where I was and who had taken me, but the knowledge was carefully blanked out, perhaps a sign that this situation was something I needed to work through without prior instruction. That or I was losing my touch. “And what might they be?” I asked, channelling the disagreeable nature of my friend, Violet. Somehow I needed to get a message to her. If there was one person who could help me in a situation like this, it would be her. I screwed my eyes tightly shut and tried to imagine the wakefulness away. Needless to say, it didn’t work. Instead, I ended up listening to the sound of the television burbling through from the living room. Why did Logan always have to have the volume up so loud? It wasn’t as if he couldn’t hear it. He’d developed incredible hearing recently, much to everybody’s irritation. I guess that was part and parcel of becoming half werewolf. I rubbed a hand over my face, trying to smooth out the drum, drum, drumming of a particularly vicious headache. My eyes protested at the light, lids closing and rims burning. The computer screen had begun to blur before I’d eventually crawled to bed last night, desperately sifting through past emails in the hope of extra work. A yawn pitched my lips of its own accord. It would be so easy just to fall asleep again. The notion of a dream tried to tug me back under, but the hour apparently demanded my body awake even if my mind was against it. After a few groggy minutes dressing, I headed through to the kitchen, the dream trying to rehash and rearrange itself in my mind but making zero sense. All I could remember was a hard bed and a papery nightdress. Simon nodded a greeting from behind his computer screen as I entered the living space. He was seated at the dining table, occasionally peering across at the sofa where Logan was slopped out with his feet up on the seats and his eyes glued to the huge screen. Sound blasted from the television. My fingers massaged the angry pulse on the side of my head as I scooped up the remote and dialled the sound down, my lips forming a bitter line. I rolled my eyes and moved from the back of the sofa to the kitchen area, regretting the step as soon as my tired gaze found the ridiculous mountains of pots, pans and just general mess that encompassed the worktop. My teeth set, a mistake that made the pulse in my head jump yet more viciously. Trying to move a pan so I could clear a space next to the kettle simply made things worse, the incomprehensible pot pile collapsing in raucous disarray. Plates scraped the counter and at least one metal frying pan, laden with cooking oil, slipped off before I could catch it, clanging with delirious determination against the floor. My eyes squeezed shut, braced against the throbbing as it kicked up inside my head with each crash. I felt my nostrils flare, mouth stiffening into a thin line. He hadn’t even turned his head. Blood boiled in my veins. For the briefest of moments, I considered throwing a ball of fractious energy at him. “Don’t bring me into this,” Simon responded from behind the safety of his computer screen. He didn’t even shift his gaze as if making eye contact with either of us would be a dangerous move. “You’re the only one with a wolf’s appetite!” I railed at Logan, holding my feet still for fear that I would storm over there and smack him across the side of the head. Frustration fizzled through my whole body, charging my bones. I forced myself to turn away from him, tapping the touchscreen on the kettle with more gusto than strictly necessary. It double clicked, thankfully selecting my personal settings before the appliance started to chug away. It could have been an entire farmyard. I poured the kettle, scorching pre-brewed tea piling into the mug. After a few minutes, the milk kicked in and swirled, soothingly, from the same spout. The colours blurred and blossomed in a strangely relaxing way. Simon still seemed amazed that kettles were ‘advanced’ enough now to create the perfect cup of tea with little human intervention. His eyes sparkled everytime he got to press his personalised settings on the machine – a recent addition to the preferences list that I’d begrudgingly made. My spoon dropped to the bottom of the mug and blended the concoction before I discarded it and snagged a couple of paracetamol to down along with the burning liquid. One good slurp. The roof of my mouth zinged. It wasn’t that there wasn’t any work. There were definitely plenty of investigative jobs out there right now for a PI, but I wasn’t getting any of them. Almost two months ago, a local detective, Bakiir, had outed me for being a half necromancer. Maybe I could have survived that storm by dismissing it as a simple rumour, but my last case, one where I’d had to prove Logan’s innocence, had ended with a rather large number of zombies running around at my personal disposal. I’d sent them all back to rest as soon as I could. Still, the damage was done. Everyone had seen what I was capable of and there was no returning from that. Work had dried up. I’d had to take a step back, focusing on those dreaded bread and butter cases that I’d begun my freelance detective career with, like divorcees and paranoid partners. And even they were few and far between. “Well, I’ve been thinking about it,” Logan answered, pretending not to notice that I could only stuff one slice of bread in the toaster because he’d eaten all the rest. Simon raised an eyebrow, glasses slipping a little lower on his nose as if he knew what stupidity was going to fall from Logan’s mouth next. “Simon isn’t my assistant,” I sighed in irritation, snatching the butter from the fridge and procuring a knife. The silver rammed into the yellow substance with a little more gusto than was necessary. “Don’t be like that, Holmes,” Simon piped up. “What about Jenna’s case?” he prompted. It was a complicated situation involving disappearing women, all of whom could shapeshift into panthers. But, of course, the panthers were loath to come forward, trying to hide their abilities from the rest of the human race. God only knew what would happen if the rest of society realised that there was a secret race of beings able to shapeshift just like werewolves in their midst. The secrecy made it difficult enough, but, when those accused of abducting the women were amongst the werewolf community, there was little hope in making anybody talk. Even without the complication of outsiders’ views, both supernatural types were very similar to their animal counterparts, keeping everything within their packs or prides. And how I wish I’d been able to prevent him from ever being infected by that vicious, DNA altering bite. “No,” I muttered, reservedly. The toaster popped. Almost blackened bread jumped to attention. “I said no,” I snapped, reaching for the burnt slice. A buzz emanated from the kitchen island. I wheeled, spotting my iCom vibrating on the pale counter. I sensed Simon was watching me without having to look up at him as I scooped up the small, silver compact. A number flashed on the inner screen. It was the police station. I watched the green line flicker up and down like a heartrate monitor. I had no cases that involved the local bobbies. Why were they calling? Licking my lips, I tapped the symbol for a voice only call, jamming the handset between my ear and my shoulder. “Eonsen here,” I answered, scraping my knife viciously across the butter. The raised butter knife paused in my hand. “No chit chat…?” Not that I liked small talk, but Maloney usually did. It was rare that he didn’t open with the same tired request to meet up for a drink that I would never go for. Silence stiffened the line. I cleared my throat, sensing Simon straining his ears. I blinked. He was getting ahead of himself. I hadn’t even said yes to the case yet. Then again, it was a paid job. I’d be stupid to turn him down. I put the butter knife on the worktop, pursing my lips and ignoring the sticky yellow that instantly clutched the counter. Simon’s mouth worked into an ugly line. My stomach somersaulted. Maloney never called me by my first name. Tension curled over the line. I rolled my pen between my fingers and then laid it down on the worktop. Another pause as a deep breath settled my nerves. It wasn’t as if I’d physically changed, but people’s perceptions had. I’d already found that I was pre-emptively distancing myself before the anticipated disgust could roll down over their features. Maloney was one of the few people who hadn’t given a damn that I was a half necromancer. He’d continued to treat me as he would normally and perhaps that was why I was trusting his judgement now. “Okay. What time is the teleport?” I asked, thumb and forefinger rubbing over my temple. My eyebrow raised involuntarily. “Twin or separate,” I corrected with steely tones that went unnoticed. “Sure,” I muttered to thin air as the line clicked off. The iCom flipped shut in my hand. One more futile rub of my forehead and I put the receiver down on the worktop, half turning to meet Simon’s gaze. He was standing on the other side of the island, watching me with a degree of concern from beneath his spectacles, gaze flicking to my discarded breakfast. The toast was probably cold by now, anyway. “Is he okay?” he asked quietly, meaning the detective he so disliked. Logan bounded over the sofa, somersaulting from his seat and landing perfectly on two feet to face me without so much as a minor overbalance. “Can I come?” he chirped, light in his eyes. Check out chapter two: Abeona Teleport. Tomorrow. Right here. 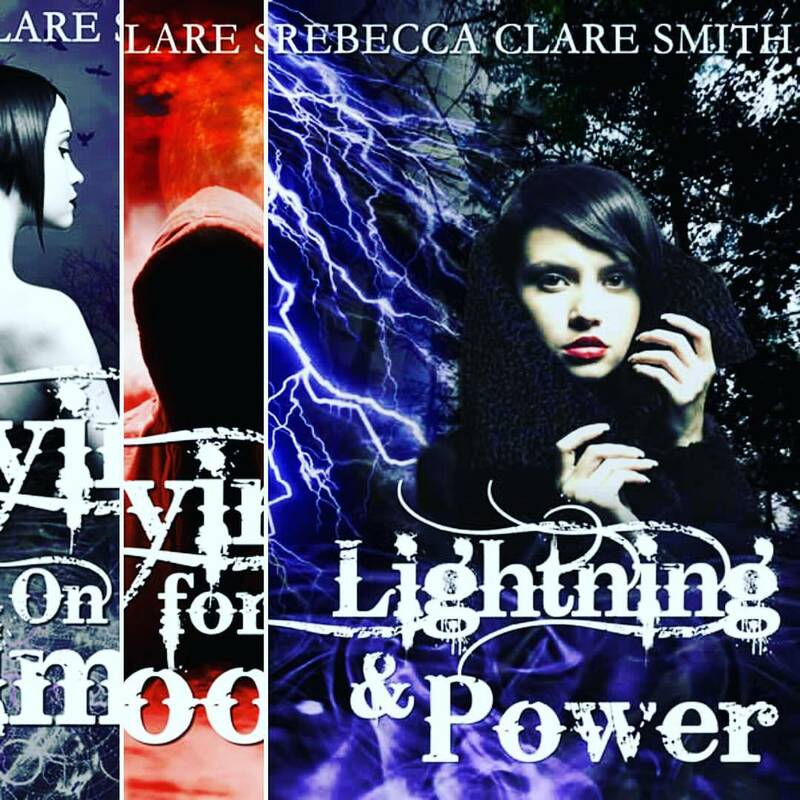 Next Next post: Free Read: Chapter Two Of Lightning & Power!